OUT of STOCK No estimate on will it be back in stock. 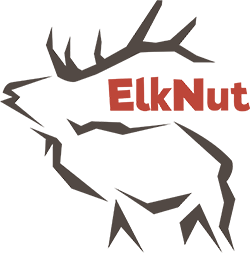 ElkNut's Chuckler EL Bugle unique design resembles the inside of an elks throat. ElkNut added the rippled/spiraled corrugation to slow down the air given by the caller to allow it trap the sound inside a bit longer for better resonance - giving those more realistic bull tones, from big bulls to small bulls, it's the callers choice. This one feature alone separates ElkNut's Chuckler from all other bugles on the market! Read on for ALL the details. If you`d like the ability to convert your Chuckler EL Bugle into an XTR check out the video below. The Chuckler Bugle is 19" long & a 3-1/4" barrel, it will weigh in at aprox 7.5-0z. -- It's simple yet extremely effective with no moving parts makes it one solid unit - built to last a lifetime! It's wall thickness is thicker for superior strength & resonance for those tough on equipment & looking for realistic tones. It will have two Tone Dampeners made of 1/8" thick x 5/8" wide Silicone. (rot proof) These will control any plastic vibration that can happen when guys are giving heavy bull Challenges & Lip Bawls as well as hold the camo cover securely in place, they will be flush with the barrel as they are set in a grooved out slot. The 1st will be 2" from end of barrel/exhaust end, the 2nd dampener will be 5" away from that one right where the main barrel starts to cone down, these spots chosen for the dampeners are very important for sound quality & control. The Mouth opening is a very important 1-1/4" sized opening, it will allow for great Challenges & Lip Bawls without lower lip interference, a deal breaker when ones lower lip chatters against too small of an opening disrupting your Bugles. There will be a 3rd Silicone band where camo cover meets the mouth piece to secure slippage at that end. The unique "elk" camo cover will fit like a pair of skinny jeans! (grin) When you add all this up it comes down to one fine Bugle without a doubt! I have the proto type I built and love it! With the corrugation inside & the wall thickness you can see why this Bugle will be incredibly strong! Folks, it's been 10 years in the making with tons of Proto Types that we've had over the years. We finally have it dialed in & it's like no other Bugle on the market today! I've passionately poured my heart into the design of this Bugle. After tons of various recipes all of which which have worked beautifully over the years we've come up with the one that separates itself from all others - it's sound quality is be 2nd to none. An instructional How To - ElkNut shows you how to adapt a 2015 Chuckler EL Bugle to use an XTR (external reed) mouthpiece. Click the button below to add the OUT of STOCK ElkNut's Chuckler EL Bugle to your wish list.